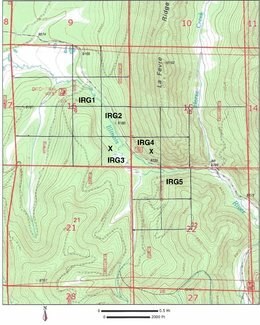 This is a legally registered, 80 acre gold Mining Claim for sale, being two 40 acre claims, next to each other from west to east, road access to each, the Illinois River Gold #3 and the Illinois River Gold #4. 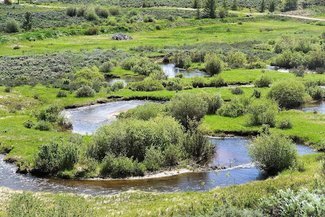 The river runs thru each claim, giving you over 2600 feet of year round river to prospect. 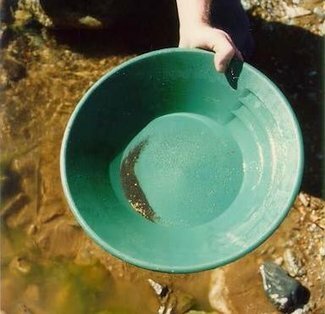 There is also a 2nd creek branch on the claims besides the main river to even increase your gold prospecting potential. 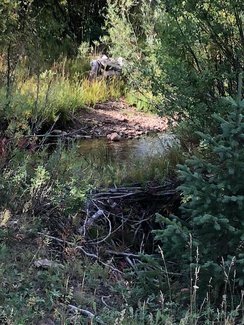 Unique to this national forest on our claims is a large meadow area with the river running thru it, and ponds. 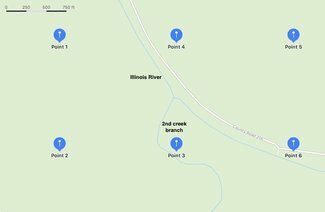 Scroll down lower left on this listing for satellite views and maps. 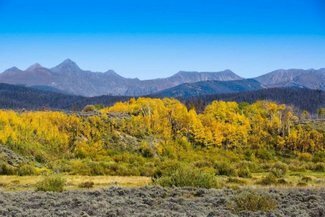 Our claims are located just north of the Grand County line, in Jackson County, which is one of Colorado's least populated counties, making for great natural beauty and wildlife viewing and a feeling of being away from it all. Either 40 acre claim can also be purchased separately for $3500, or $4000 paying $500 per month for 8 months. If within one year you are not satisfied with your claims, you can trade for other comparable claims, just paying the BLM and County transfer fees which will be about $125 for each. 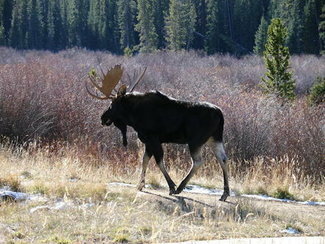 This county is known as the Moose Viewing Capital of Colorado, and we had a moose sighting while we were there. 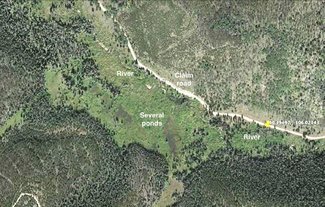 This is a 80 acre unpatented, gold mining placer claim, the Illinois River Gold #3 and #4, with the beautiful Illinois River running thru each claim, in the Rocky Mountains, and the Routt National Forest. The claims are legally registered with the Bureau of Land Management out of Lakewood, CO and Jackson County. 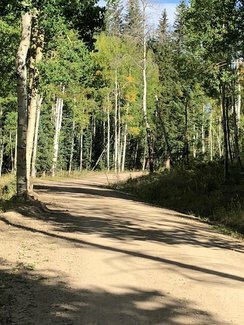 You own the mineral rights, not sharing with others, on the 80 acres, and use your 80 acres recreationally for camping and prospecting in an awesome, beautiful area. 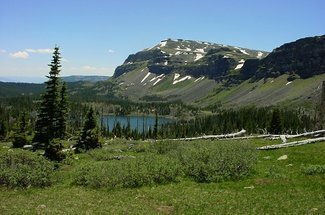 Great secluded valley, with flatter claim areas for camping. 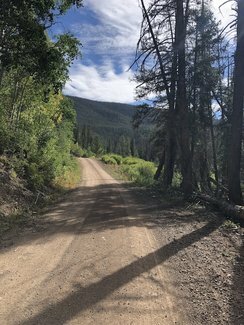 Easy walk to the Illinois River, not too far from the Rocky Mountain National Park, and less than an hour from the Wyoming border. 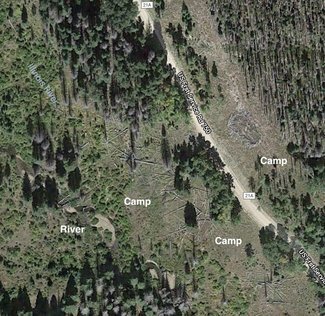 When we located the claim on one weekend, we gathered in and around the river, approx. 1/4 of an ounce of gold on each claim, being worth about $300 on each. 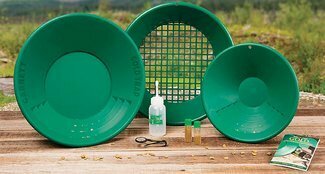 As the BLM does not specify the amount of gold to be found to locate a claim other than gold needs to be discovered, we use this amount for a 40 acre claim as a projection of good gold potential. Someone with more time may find more. Gold prices are over $1200/ounce. 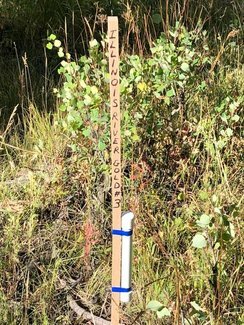 Though we could never guarantee what you will find, we did locate this claim in an historically rich area for gold prospecting. Gold in just this past year has gone up over $100 per ounce. 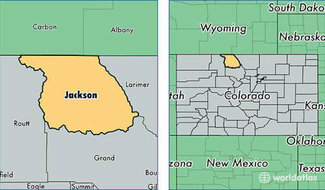 Welcome to North Park - Jackson County, Colorado! Raw, remote, tucked deep in Colorado’s rugged Rockies, the high valley of North Park and its County of Jackson literally scream frontier and a past fast-held in present days. 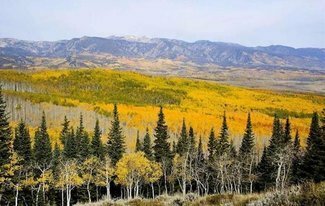 Holding true to rough and rugged times when native hunters, trappers, prospectors, and early ranchers survived off its lands and forged its history, North Park is the real West, where travelers can embrace “what once was”, while happily escaping “what now is”. With over a million acres covering more than 1600 square miles; 65% public land; lakes, rivers and reservoirs that attract and support unique and abundant wildlife; and access to five of Colorado’s most rugged and pristine wilderness areas – North Park lies at the center of a minimally used and amazingly untapped recreation universe. Light on links to the world-wide web, with mall shopping, bright lights and traffic jams at least 65 paved-miles away, it is removed from “civilization”, but easily accessed by civilized folk in search of solitude. Raw, Rough, Real – make your getaway to North Park this year. Unplug to plug in – disconnect from your life and reconnect with your soul. As heavy mist rises from the lush, valley floor of Colorado’s North Park, a flaming Western sun gently layers the “360” horizon with pinks, reds, purples, and shimmering golds. As a large bull moose appears, disappears, and reappears along one of many river paths, a playful otter splashes ducks intent on finding breakfast in a nearby beaver pond. And, as passing moments become priceless memories, the raw nature of North Park and Jackson County awakens the frontiersman in us all and leaves us wanting more. North Park is truly a land of wonders, where your mind can rest, while your spirit soars. 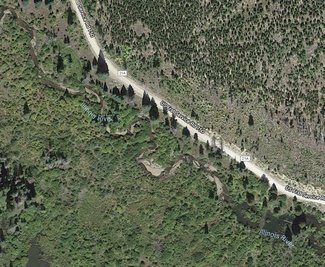 The claims have direct legal road access on a good Forest Service Road, with areas for camping, and gold discovered in surface prospecting. Your ownership is legally conveyed via Quit Claim deeds, and legally recorded with the BLM and Jackson County. A Quit Claim deed is the required legal document per the BLM. Each year, on or before September 1st, you need to file a form with the Bureau of Land Management, along with $310 for each claim. By doing this, you keep the claims forever. There are no taxes on mining claims in Jackson County. Need 2 or more names on each deed. You must be a current US citizen with a US address to own a mining claim in the US. I have paid the fee for this year, and is not due again until September 1st, 2019. Mining claims are real property that you can buy, sell, or inherit. 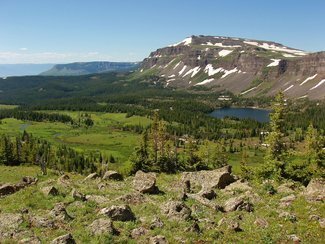 After proving the existence of valuable minerals on the land, the claim is legally recorded with the Bureau of Land Management and Jackson County. 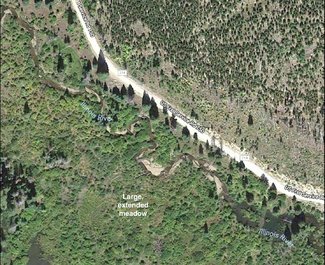 The Illinois River Gold #3 and #4, are gold placer mining claims, ideally situated on the Illinois River, surrounded by beautiful Rocky Mountain ranges. About 3 hours from Denver. 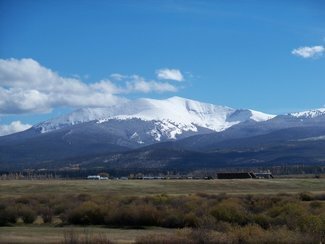 Take I70 West out of Denver, then 40 West, to Highway 125 north in Grand County thru Winter Park and Granby, into Jackson County to road 211 before town of Rand. Take road 211 North to 21 East, and continues onto 21A, which is the claim road, which will continue south using GPS coordinates below to the claim. From the beginning of 21A to claim is about 3 miles. 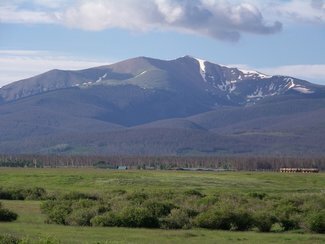 About an hour to Rocky Mountain National Park. 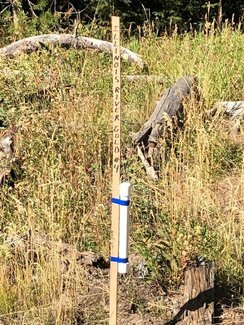 The claim location monument has a 4 foot wooden post near the river, with copy of Location Notice attached, as required by the State of Colorado. 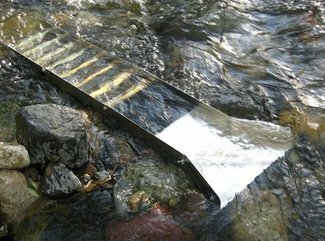 The river on the claims is a unique advantage for gold prospecting. Year round Illinois River on the claim for panning. Prospect, explore, on the whole 80 acres. You can camp on a claim while prospecting, and do not need permission nor a permit to do so. Now that we have located the claims, you never have to declare to the BLM any gold you find. You can prospect as little or as much as you choose. 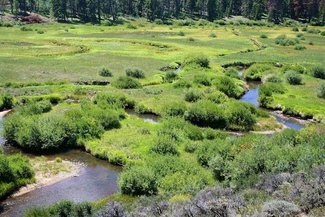 After receiving final payment, your ownership of the 80 acre claim will be legally recorded with the local Bureau of Land Management and Jackson County. 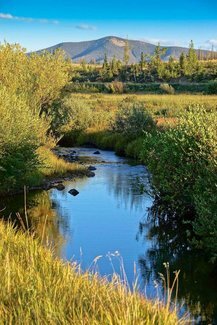 The quit claim deed is the correct document to be recorded for a mining claim, as stated by the BLM. This is not a sharing with others of your 80 acre claim. In that mining claims are processed thru the Bureau of Land Management, a Federal Govt. agency, not following thru per our legally signed contract, would be a federal crime. I certainly will do what I say, and would never put myself nor my wife in any legal jeopardy. Landsalelistings, Landwatch, LandsofAmerica, and LandandFarm.